Volker started gliding at the age of 14, in his hometown of Upper Bavaria, where he grew up. He then moved on to hang gliding and microlighting and in 1987 he founded one of the first paragliding schools in Germany. At the age of 24 Volker gained a commercial fixed wing licence in America and Germany. In 1997, after a few years in Tuscany with his Italian wife and daughter, Volker moved to the UK and settled down in Canterbury, Kent. 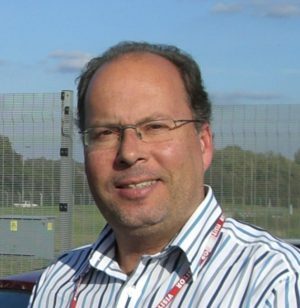 He worked for Hoverspeed and then Eurotunnel, before taking a position at Continental Airline’s Gatwick office, where he ran their Reservations Department and Frequent Flyer Programme for Germany and Switzerland. After changes to the company structure at the airline’s Gatwick offices, he joined a charter broker company in South East England. Enjoying his work with business jets, pursuing his love of aviation, in 2006 Volker decided to set up his own charter broker business and established Aviation Charter Limited. The company became a BACA member in 2008 and shortly thereafter Volker joined as a BACA Council Member. In Spring 2013 he was elected by the Board as Deputy Chairman. In his spare time, Volker enjoys hiking in the Bavarian Alps, paragliding and good food and red wine in Tuscany.